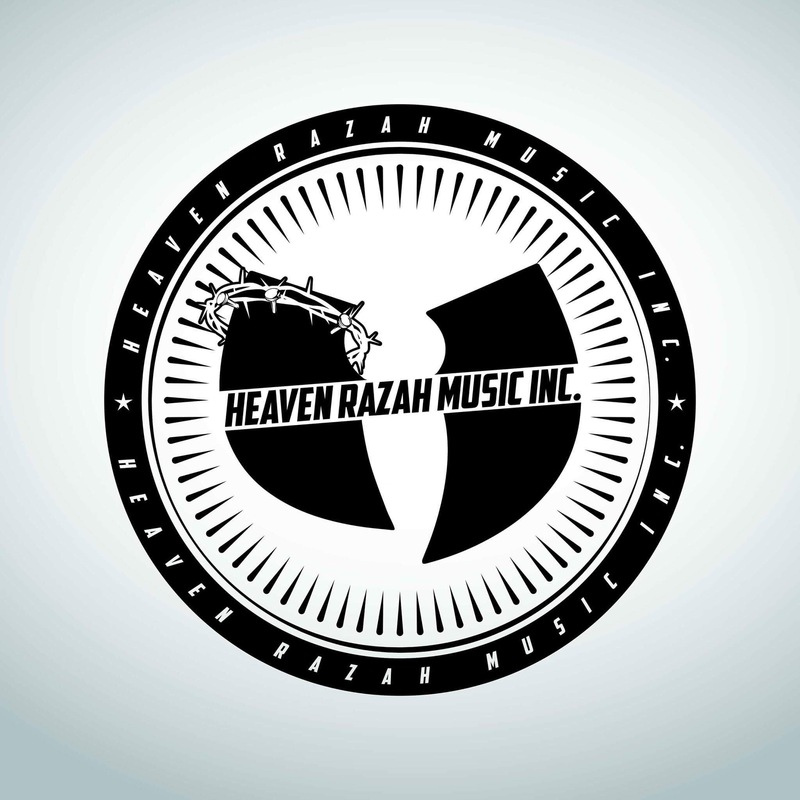 Heaven Razah Music, Inc. Is a premier record label founded by legendary Wu-Tang Clan/ Sunz of Man member Chron “Hell Razah” Smith who formally adopted the alternate name Heaven Razah in 2009. 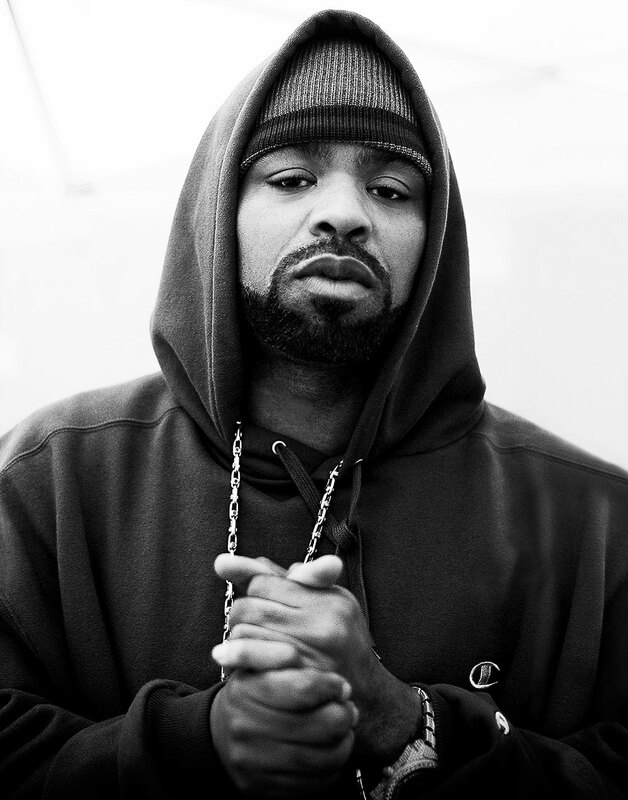 In 2004, Chron’s record label Hell Razah Music, Inc was established and by 2013 his label and G.H.E.T.T.O. 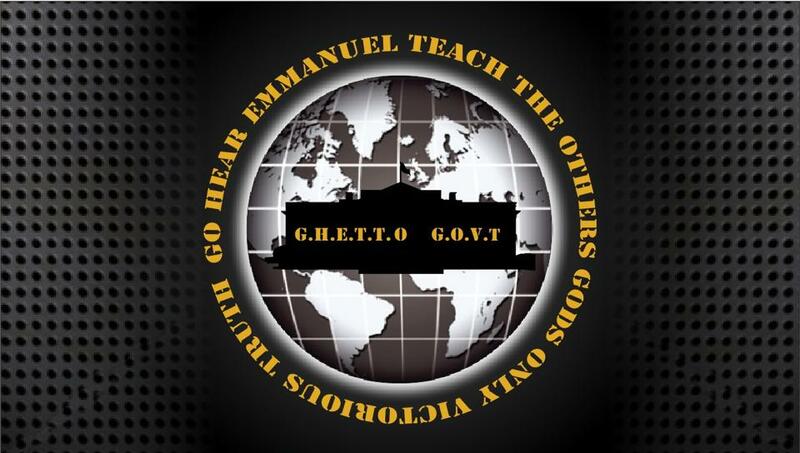 G.O.V.T (Go Hear Emmanuel Teach the Others God’s Only Victorious Truth) movement established chapters, community service projects, & music all over the globe. -Artists: Please send formal EPK or music links as well as social media handles. Mp3 files will not be considered. GGO Chapters in Good Standing: (Have submitted roster, passed 2018 annual review. 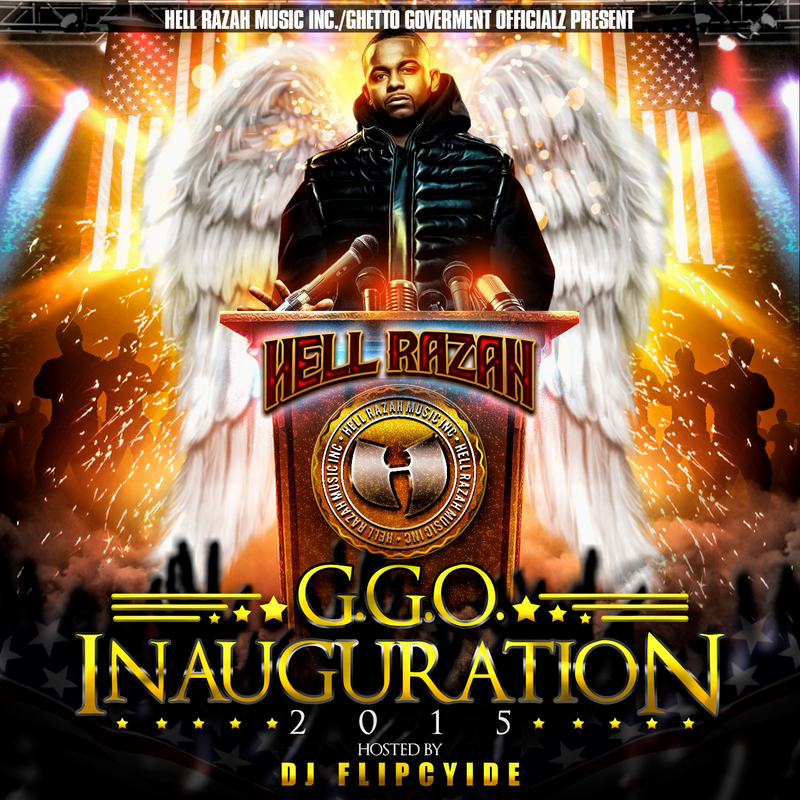 Cast your #vote for the next Hell Razah @heavenrazah #GGO MXTP! As you may have seen, the promotion for the Ghetto Government Album has started recently. Although no exact date for album release has been made public as of yet, it is in fact coming soon. 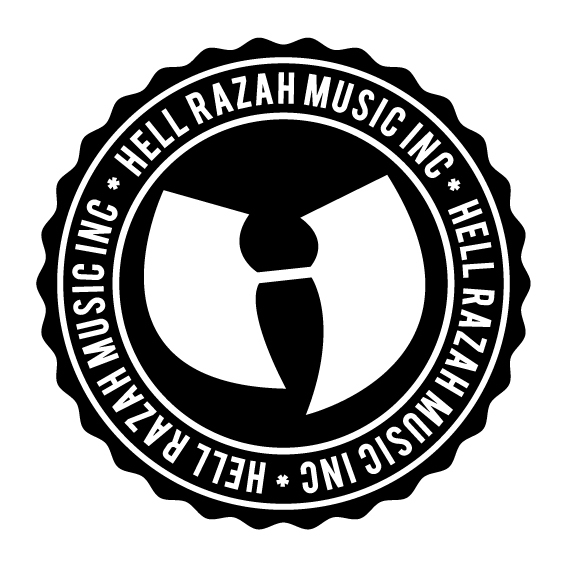 2012-2014 Hell Razah Music, Inc. has probably pushed out more free music for the public then any other camp between individual and collaborative project efforts. 2014-2015 individual projects and albums were released. With that being said, now that we are leading up to the actual #GGO Album, we have decided that the next series leading up to the album release will be dictated by the fans/ supporters. The first round of voting will be choosing your top 20 tracks from all of the collaborative mix tape releases, the second round of voting will be your top 20 tracks of individual release projects, and the third round of voting will be your top 20 tracks from all of Razah’s individual releases. This series is a “Best of Ghetto Government” and although there is a small handful of folks that are no longer active members, if their track was a part of the collection you may absolutely still vote for that track. Good music is good music and the collection is going to be compiled of the top fan choice tracks. Votes for the first round will be accepted from now – Wednesday, September 30th at midnight. 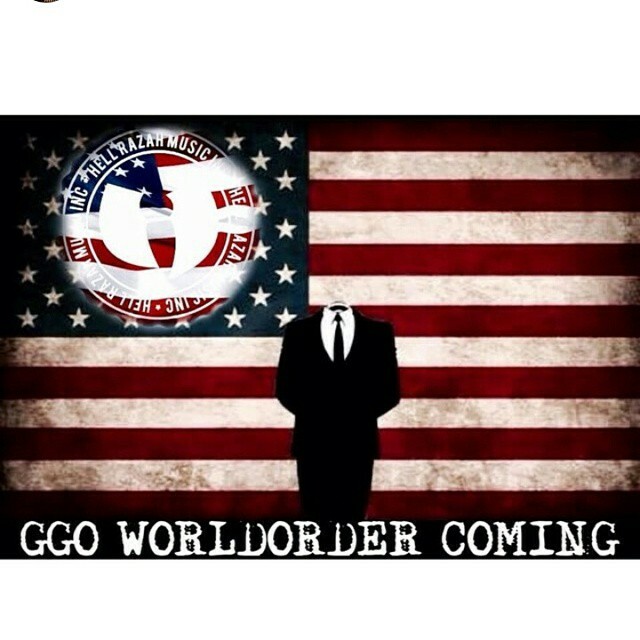 Hell Razah presents: “Agenda 21, GGO World Order” Coming Soon! 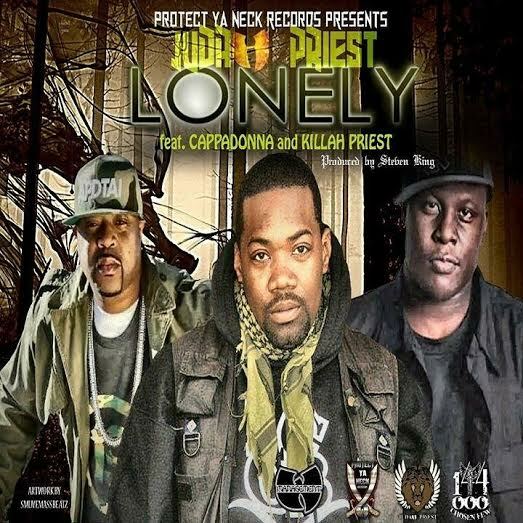 New single from Judah Priest featuring Capadonna and Killah Priest “Lonley”. 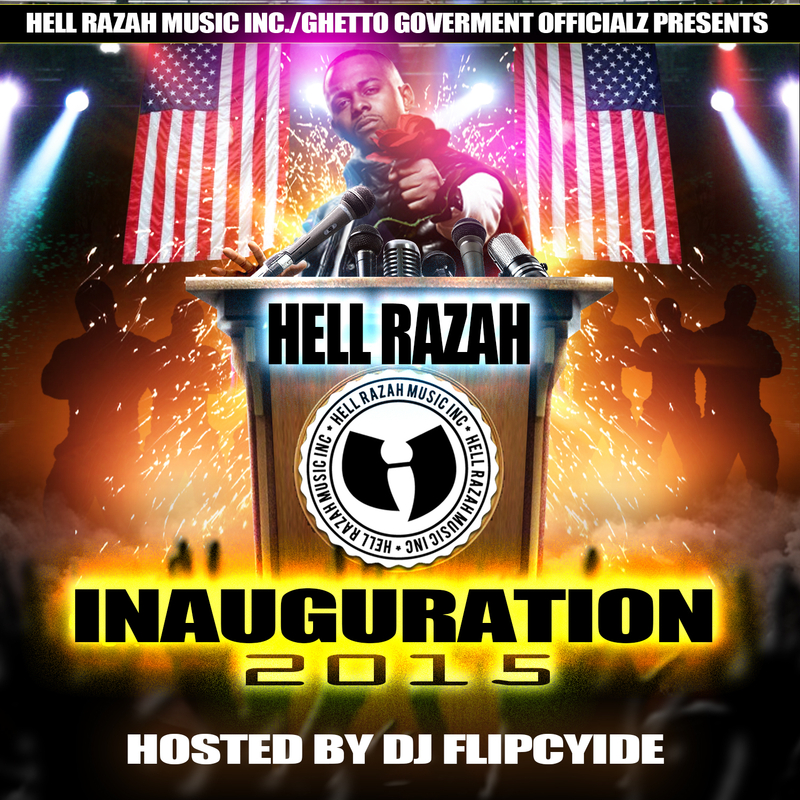 #New Hell Razah @heavenrazah “El Raziel” Album now available for pre-order! “El Raziel” is now available for pre-order! The album drops (Easter) April 5, 2015 via Empire Distribution. Artwork by Culture Freedom. Pre- Order your copy today! 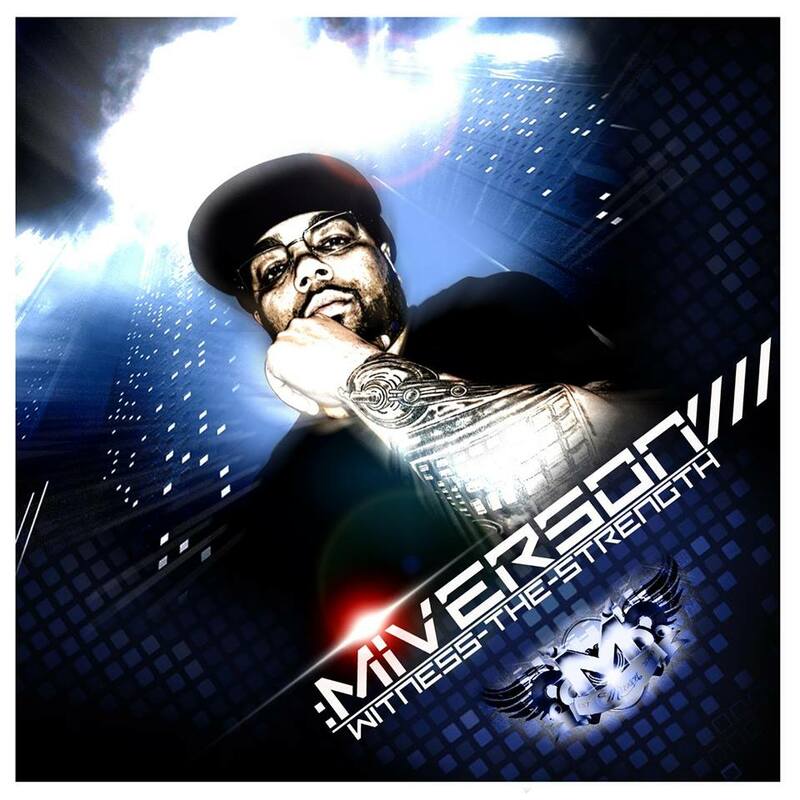 Since the release of “Witness the Strength” is only a few days away and it’s been about 2-years since I’ve chopped it up with Hell Razah Music, Inc. /GGO Producer Miverson, I figured we were long over due for a “sit down” (digitally speaking of course). QTP: Boss, Boss, Boss… It’s been about 2 years since we last sat down to chop it up interview style. How have you been & what’s new in your world? MAV: Wow, really 2 years already, time flies when your working hard. I’ve been great thank you. Just been really working on this project as well as others for 2015. 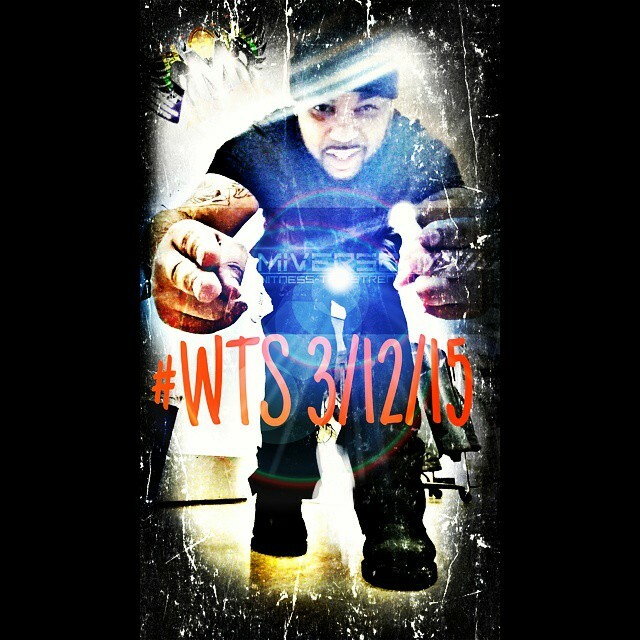 QTP: Your project “Witness the Strength” is finally ready for release and will be dropping the 12th of this month. I don’t think most people realize how long a production project can take or all the work that goes into a MXTP or Album release. You want to shed some light on the amount of work you put into this project? MAV: You ain’t lying. Honestly I thought I can get a few tracks and just release. That was not the case what so ever. I realized that I have a great opportunity here so I wanted to take my time putting it together. It took almost 3 years for WTS to be completed and up to my standards. Now I can finally release it and be satisfied. QTP: Is this your first full production project that’s featuring multiple artists? MAV: Not my first fully produced project, but its my first fully produced project featuring multiple artists. QTP: What other projects have you done in the past year or so that features your production? QTP: What’s the artist line-up look like for WTS? Who can folks expect to hear artist wise and is there a hosting DJ? iNTeLL(Son of U-God), Fes Taylor, Stealf Bombz, Ruthless Bastards, Stumik(of Ice-Water), Mic Check, just to name a few. I also have a few local rappers. Overall I think the line-up is great. I was thinking of having a DJ host it but It didn’t work out that way, so maybe next time. QTP: Now that the project is release ready, are you happy with the end result? MAV: Happy is an under statement! I am really excited, ecstatic and nervous. QTP: Is there any significance in the chosen release date? MAV: Well I had a few dates to choose from and the date that stood out of course was my Birthday. So as a gift to myself and my fan base I picked March 12th. Can’t get any better then that! QTP: Where will the project be available for download? MAV: It will be available on Www.DatPiff.com for free download. QTP: Are there anymore projects that you’re working on? What’s next? MAV: Yes I have a few projects lined up. I have a project with Automatik Greatness (InfoWarz), the project that you and I are working on (No title yet) and if WTS does well I might have Volumes of it. QTP: I have to say for me personally, the chemistry that you and I bring together on tracks is something that I know I don’t experience with every producer. 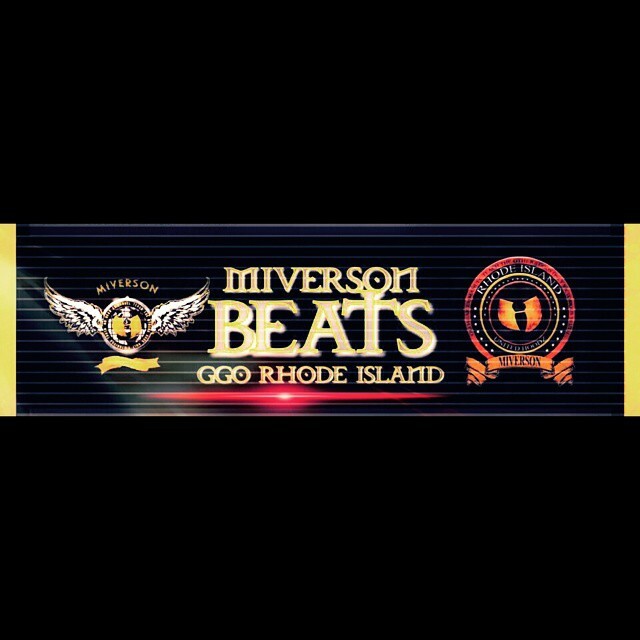 Every track we have released so far has been received well by the listeners, and as an Artist I know there is just such a significant difference in the music when a producer is sending you beats versus the beats a producer makes for you specifically. Our last release “Q.T.P.” I remember I didn’t even like the beat at first until you told me to listen to it again because the beat sounded like it was saying “QTP”. What is it like for you as a producer? I know you have great chemistry with Automatik Greatness, but do you get to experience that every time you work with someone or is each person different? MAV: Yes you and I have been putting out that FUEGO lol. Chemistry is definitely there. As for other artist chemistry is there as well, I have a hand full of artist that I have an idea what they like so it makes it easier on both parts. Like Fes Taylor, you mentioned Automatik and iNTeLL (Son of U-God) & yourself. QTP: What is the most challenging part about working with artists? MAV: I would have to say time. Everybody lives their seprate lives so I can’t always expect someone to drop what their doing to do a track for me. Other then that I think I’m pretty good shape when it comes to collaborations. I am a very patient person so that helps with my music. QTP: What is the most challenging thing you’ve done as a producer thus far? MAV: Getting Witness The Strength where it is now. I’ve come a long way Queen, I remember sitting there making music for fun then one day it all turned around in a blink of an eye. Now I’m sitting here waiting for a release on a project that features artists like Razah, Fes, QTP etc. Its truly a blessing. QTP: If you could work with anyone in the world (living or deceased) who would it be and why? MAV: Damn, I’m stumped. I would say RZA only because he is the reason I produce. So to have him on a track produced by Miverson would be sick. 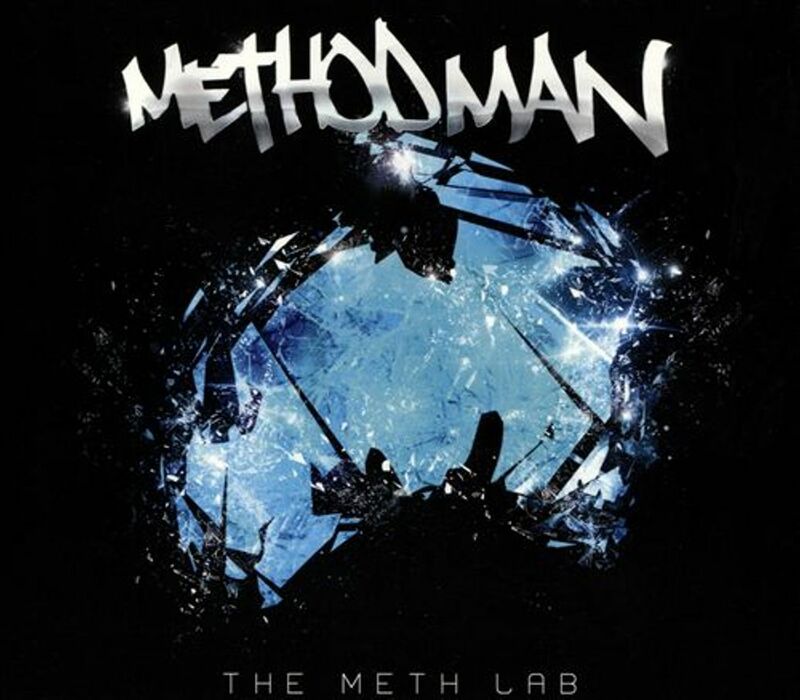 Of course GZA, Masta Killa, iNS, and a few other cats from my era. Nas, Jay-Z, if Big L was alive him as well. I’m willing to work with anyone though, I don’t discriminate. QTP: Boss, where can folks find you on your social media handles? QTP: Is there anything else you want folks to know? MAV: Just a quick thank you to all the artists that helped me put this together. It wasnt easy but its DONE! 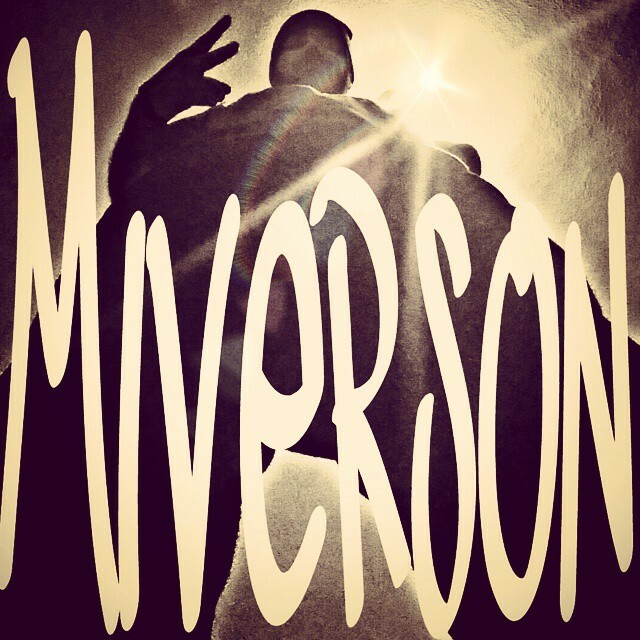 Also be on the look out for more Miverson production in the near future. With that being said, Queen I appreciate you taking time out of your busy life to sit and have an interview with me. I also want to thank you for all the support you have giving me throughout the year. You have helped in so many ways. Peace & Wingz Up! For those of you who don’t know, Hell Razah/ Heaven Razah (Wu-Tang Clan/ Sunz of Man/ Hell Razah Music, Inc./ Ghetto Govt Movement/ GGO Ghetto Govt Officialz President) will be releasing his album entitled “El Raziel” this Easter 2015. In 2012, Razah released “Living After Death” to iTunes and was his first release since his brain aneurysm in 2010. In October 2014, new Hell Razah music was released by Dr. G on “The Coalition Album” and is available for purchase via iTunes, and various Hell Razah Music, Inc/ GGO mix tape projects have been released for the past few years via Dat Piff and other mix tape sites. Although still in recovery, “El Raziel” marks the beginning of a long series of upcoming/ unheard Hell Razah/ Heaven Razah projects. So I decided to sit down once again with the man behind the movement. QTP: First things, first. How are you? How are you feeling? RAZAH: I am feeling blessed. I am much better then how I was when I first got home. I’m getting stronger, faster and way more independent. QTP: Raz, there has been a lot of things said about you during the past few years, in regards to your recovery and your music. Your fans have speculated that much like 2Pac, you have tons of unheard music and the exact opposite has been speculated. Folks have said you don’t have any music, you can’t rap anymore and one of the nastiest comments I saw was someone actually said you were dead. You want to shed some light on that? RAZAH: Actually, I did die. I died and came back. I wasn’t finished with my Father’s work so He sent me back. Those same people that say things about me, will be the first one’s online ready to buy the new stuff when it comes out. QTP: So how much unreleased music is there and when will it start being released? RAZAH: The Raziel album will be released Easter 2015. The rest will be released in the right season. There’s a season for everything. I was always on my own time, and my own money. While people wanted to hang out at clubs, I was working on my music. QTP: Can we please address the “Razah can’t rap” nonsense? Can you still rap and is it the way you used to? RAZAH: I rap even better. There was a time I couldn’t even talk. I have a new style and delivery that’s different, but even if I still couldn’t talk, I’d still be rapping better then half these arrogant failure ego maniacs out here. QTP: Amen LOL. So what kind of music is on Raziel? What can your fans expect? RAZAH: There will be some old style, some new style. I wasn’t afraid to conceptually experiment. There’s also a lot of soul on this album meaning vibes of the songs and topics. Pretty much street spiritual radio music. There’s a lot of prophecy on this album. Raziel will be distributed through Empire. QTP: For those that aren’t familiar with your forever concept changing and characters, can you break down the Hell/Heaven Razah concept and concept behind the name Raziel? RAZAH: Hell Razah released an album called “The Renaissance Child”. The word Renaissance means “re-birth”. 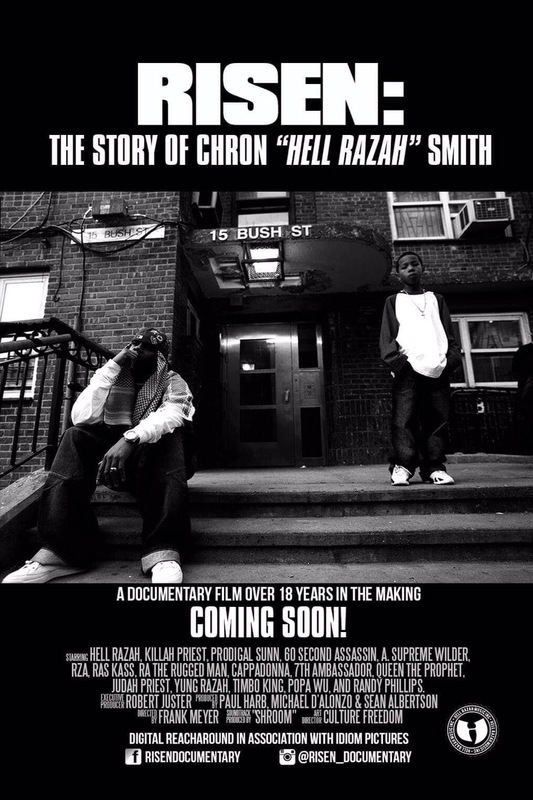 The re-birth of Hell Razah was Heaven Razah. Then Heaven Razah transforms into an angel and the angel’s name is El Raziel, which means “the messenger of God”. That defines the music. QTP: Which concept mode are you in right now? Which do you identify the most with? 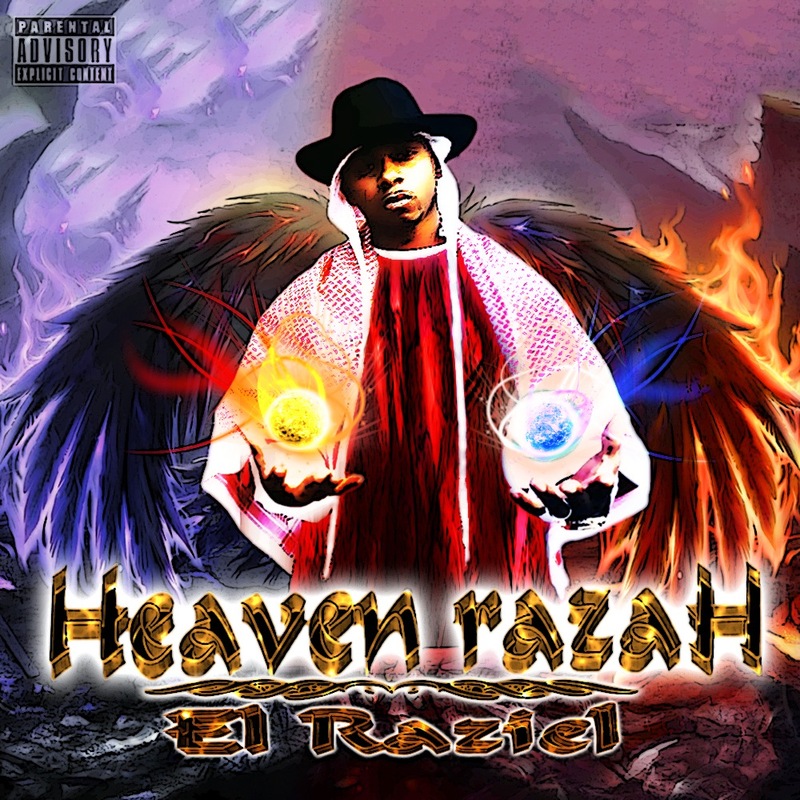 RAZAH: Heaven Razah. He see’s everything before it happens. QTP: Over the next few years when your music continues to drop, which concept will we hear music from? Which character will it be? RAZAH: It will be all three in one. QTP: What does that mean? RAZAH: It’s just me, myself, and I.
QTP: *laughs* I don’t even know what to think about that Rubiez. Let’s move on, you recently released a 60+ track mix tape (hosted by DJ Flipcyide) which is pretty much unheard of. What was it and why? RAZAH: I’ve been held back for so long, I was able to stack so much music. Now I’m at a point where I can actually release it. 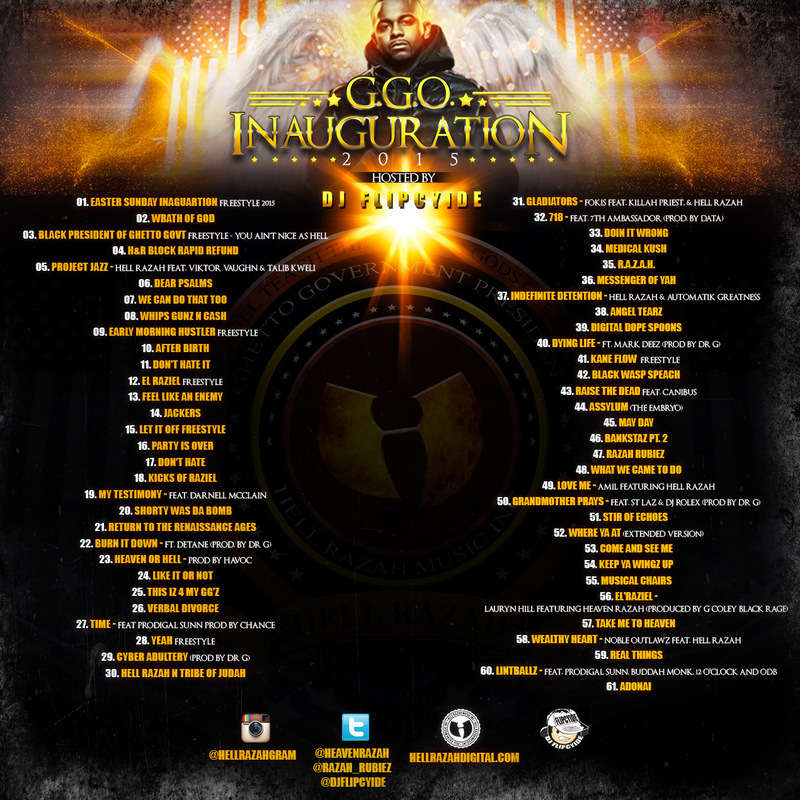 The mix tape was called the GGO Inauguration 2015. There’s a lot of phony emcees out there and the people need to elect real emcees. If you want to keep real hip-hop alive? You have to elect real lyrical emcees. QTP: Why 60+ tracks though? RAZAH: I wanted to take mix tapes to the next level. QTP: I think you already did that and now have gone beyond. It’s been said that GGO mix tapes are better than most people’s albums LOL. How does that make you feel? RAZAH: We work hard enough for that. It makes me feel good because we work hard and it’s not like we’re making up some fairy tale. QTP: From when you first started the GGO concept way back in the early 2000’s with your brother Tray, to what it is now that you have clothing, toys, and community outreach happening all over the globe in the name of your legacy how in the world does that make you feel? RAZAH: It makes me feel good. I know that God hears and answers my prayers. These are things I prayed for in private and He rewarded me openly. QTP: You recently launched a web site. RAZAH: Yes, hellrazahdigital.com I wanted to make it easy for people to find what I was doing, and who is involved with me and who is not. QTP: You have new unheard music out. For those that don’t know, what projects have you appeared on recently? RAZAH: The Dr. G “Coalition Album” (on iTunes), GGO USA Volume 3 “Election Day” has an unheard track and some new remixes, Judah Priest “The Dark Ages” album (on iTunes), and Domingo “Same game, new rules” album (on iTunes). QTP: Besides “El Raziel”, will there be any other major projects coming out in 2015? RAZAH: The GGO Album is going to drop later this year. QTP: Is there anything else that you want your fans & supporters to know? RAZAH: They can log on to my website hellrazahdigital.com and get the toys, clothing, and all of the mix tapes.